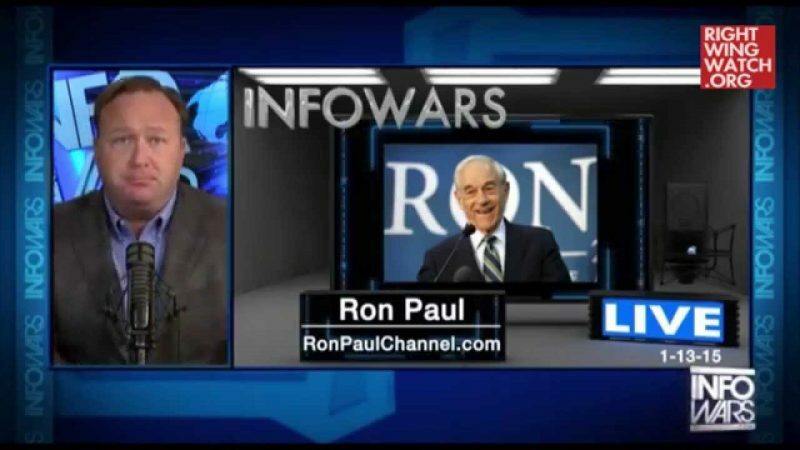 It’s no secret that conspiracy theorist Alex Jones is a huge fan of Sen. Rand Paul, and he is positively giddy about the prospect of the Kentucky Republican running for president. 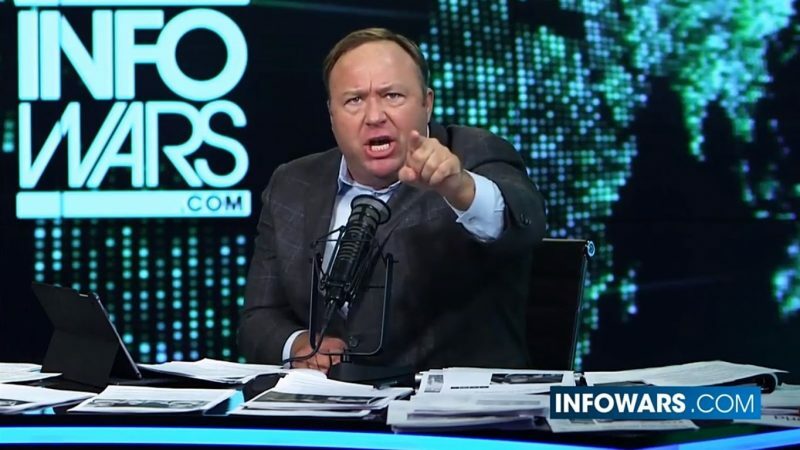 Jones told his viewers that Paul is the real deal, and if he appears to have moderated his views or distanced himself from his father’s extreme positions over the last few years, it is only because he is “playing politics” with the elitists in the media and government who are intent on destroying him. I’ve known Rand Paul since 1995. 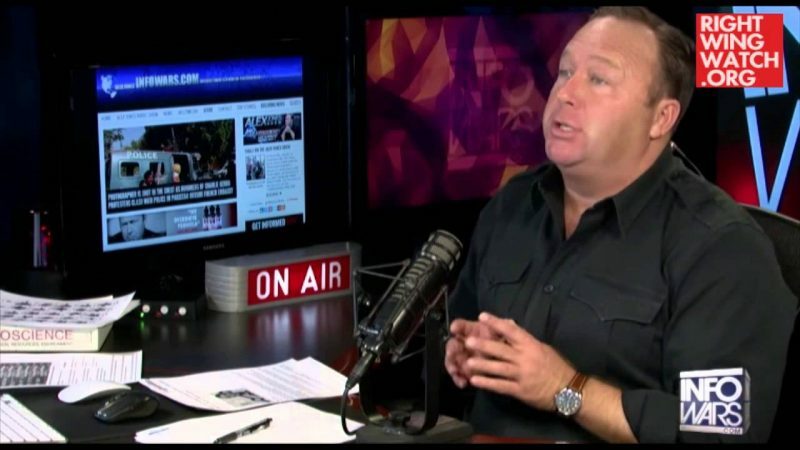 He’s been at Austin [home of InfoWars], we’ve interviewed him. I am one of the first people to ever get him on air, probably the first. I know Rand Paul and I know he’s for real. That’s why even though he has played politics with them and come out and said some things that they want to hear, the Atlantic Monthly and others are saying ‘don’t believe him, he’s nuts like his father,’ because yeah, he is a constitutionalist patriot like his father and they know that. He’s playing politics with them, like Clinton played politics in saying he didn’t want your guns or Obama did. Well, he’s doing that on the opposite end, and they know it and they don’t like it and they’re coming after him. Rand Paul is awesome.